Away from my pillow | Sleep Late Tomorrow! I’ve had it with Cy Twombly! Months before the holiday season closes in, I feel the urge to listen to Tchaikovsky’s ” The Nutcracker”. The most clichéd way of ringing it in yes, but this work of genius with its constant surprises, makes me think about the wonderful harmonics that constitute the pieces. It is a treat for the ears and the brain. It reveals the amazing ability of music to transcend every boundary that we humans create. Being an art aficionado, I must mention Vasilly Kandinsky in this context. Kandinsky’s paintings are called “Composition 1”, “Composition 2” etc. So named because Kandinsky felt that, like numbers and colors, each painting inspired a certain feeling of a musical symphony in him. With regard to the phenomena “Synesthesia” that I spoke of earlier, this observation is very relevant. 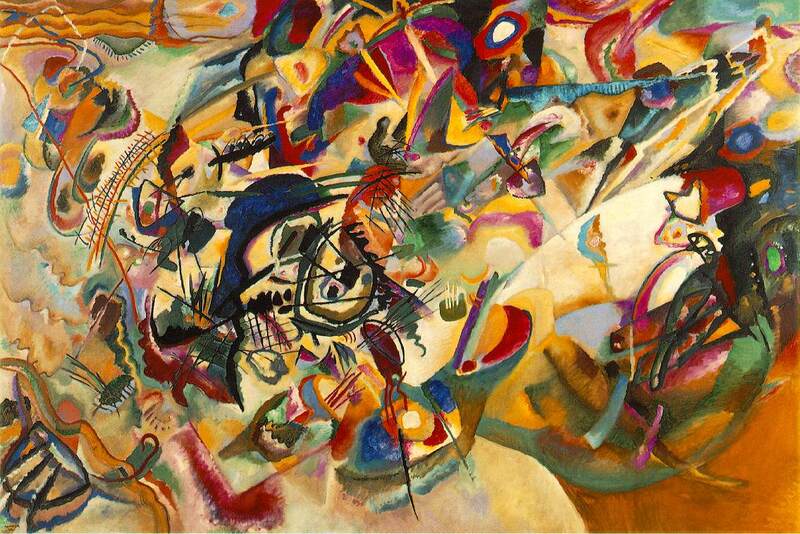 Great artists like Kandinsky were endowed with this melodic sense of colors. It is also interesting to note, that the Sanskrit word “Raga” which signifies a series of musical notes used to create a tune, literally translates into “The act of coloring or dyeing”! Douglas Hofstadter, the author of the Pulitzer Prize winning book “Gödel Escher and Bach” beautifully enumerates the similarities between art, music and math by drawing parallels between the looped paradox of Gödel’s theorem, Escher’s artistic methodology and Bach’s musical compositions. In layman terms, suffice to say that we must look at mathematics from an artist’s perspective and vice versa to understand either one completely. This Yin and Yang of Logic and Emotion is the founding basis of countless great works. M.C. 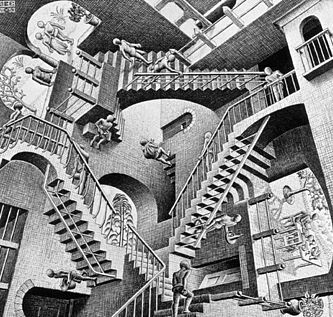 Escher’s mathematically inspired woodcuts, and lithographs are greatly enjoyed by mathematicians and scientists due to the recurring themes of infinity and repeatability. 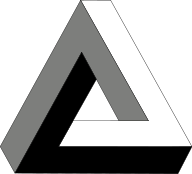 His understanding of mathematics was largely visual and intuitive, and he often made use of mathematical puzzles such as the Necker cube and the Penrose triangle. Similarly, Bach’s musical compositions are a perfect example of Time-Frequency analysis of music signals, which is extended from a classic Fourier transform. 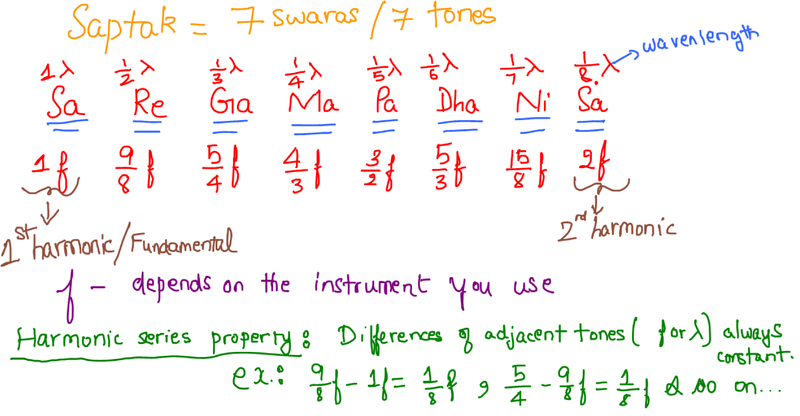 It is fascinating to note that music is essentially an innately mathematical representation of harmonics! Notably, Albert Einstein was an accomplished violinist and Richard Feynman was a prolific painter. I have often noticed multi-dimensionality pertaining to the personalities of highly successful people. They tend to display a certain level of proficiency or have deep respect and adoration towards seemingly polarized fields of study. The inspiration to write about this correlation this week comes from the passing of my “Guru” Dr. Nookala Chinna Satyanarayana. He was a true artistic genius and a master of improvisation. 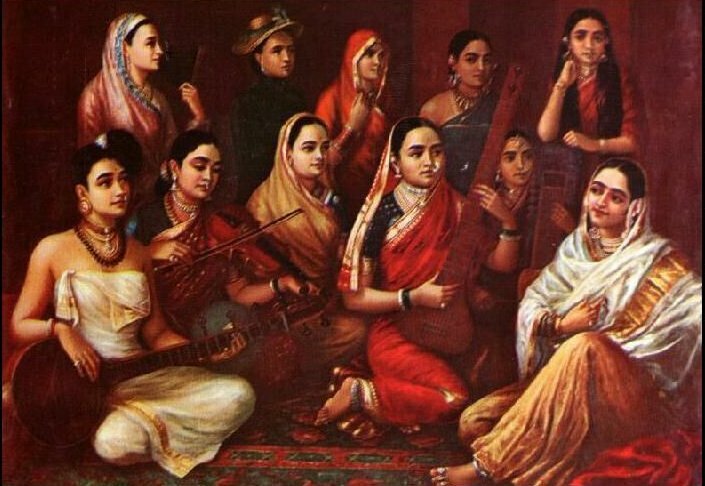 Carnatic Classical music inherently can be quite rigid. However, this was a man who liked to break those rules and sing in any way that inspired him. That was the way he taught his students and the way he sang his own compositions. 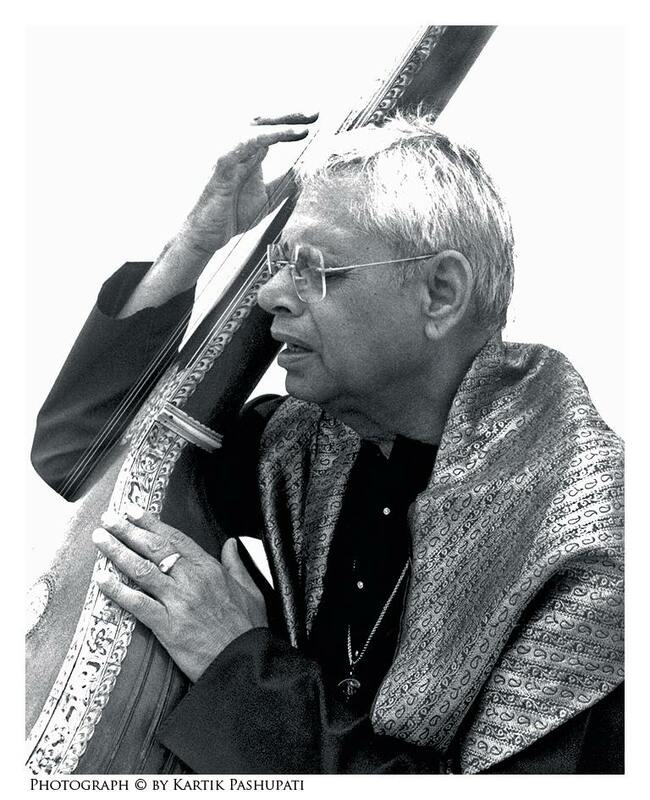 He modified extremely popular songs in ragas different from the original composition simply because he saw fit to do so. He was my teacher in a perfect harmony of my nature. He taught me to break the rules and improvise as I sing, exactly as my nature requests it. This week’s musings on Art and Science are dedicated to this legend that broke the rules; who was a true artist and teacher; who believed in making his work personalized to each student. I dedicate the piece to this Rebel: The man who lent me the inspiration to color my words. The Hunter – Gatherer Returns!